Armed with three degrees from Moscow’s Russian Academy of Music, concert pianist Anya Grokhovski arrived in the U.S. in 1989 and moved to San Antonio three years later for a position as a staff accompanist at UTSA. After bringing several Russian and European musicians to San Antonio for performances, Grokhovski launched an intimate series of house concerts that evolved into Musical Bridges Around the World (MBAW) — a multicultural arts nonprofit that aims to “unite people one concert at a time.” While possibly best recognized for its genre-spanning series Musical Evenings at San Fernando Cathedral, MBAW also reaches 50,000 students, including at-risk youth, each year through its Kids to Concerts initiative and organizes the quadrennial Gurwitz International Piano Competition (formerly the San Antonio International Piano Competition). Added to the mix in 2014, MBAW’s International Music Festival has imported musicians from Syria, Colombia, India, Iran and beyond for free concerts held in landmark venues. As MBAW Director of Advancement Suhail Arastu puts it, the International Music Festival “creates opportunity for meaningful community dialogue by highlighting hotspots from around the world, where from we are fed negative news and stereotypes. Musical Bridges aims to showcase the beauty, creativity and art that is born of those same regions.” Now in its sixth year, the festival serves up a globe-trotting soundtrack via five distinct concerts: Persian Delight with an American Twist represents an intriguing collaboration between progressive young string quartet Brooklyn Rider and Grammy-nominated Persian fiddle master Kayhan Kalhor (free, 7pm Fri, Mar. 22, Empire Theatre, 226 N. St. Mary’s St.); Tom Harrell Quintet with Ambrose Akinmusire sees award-winning jazz trumpeter Ambrose Akinmusire joining a quintet led by Tom Harrell, a prolific trumpeter, flugelhornist and composer who’s worked with everyone from Dizzy Gillespie to Bill Evans (free, 7pm Sat, Mar. 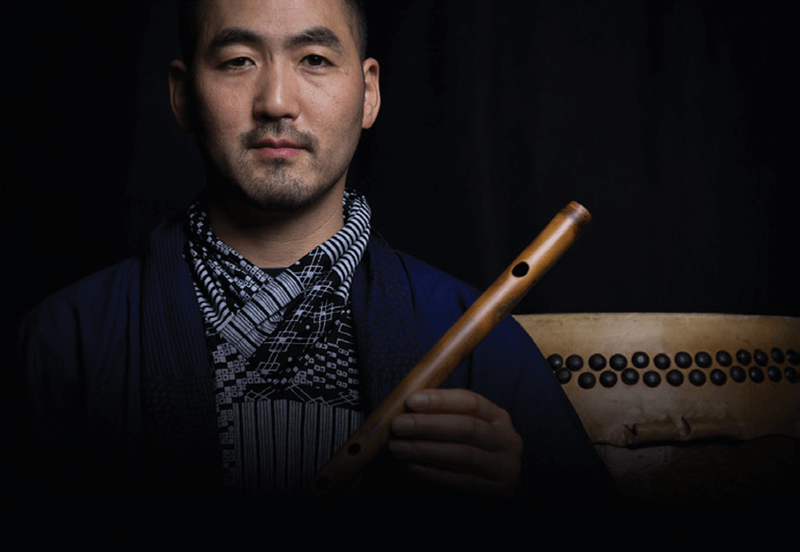 23, Empire Theatre); Rising Sun spotlights Brooklyn-based Kaoru Watanabe, a Japanese drummer and flutist who contributed music to both Matin Scorsese’s historical drama Silence and YoYo Ma’s Grammy-winning 2016 album Sing Me Home (free, 3pm Sun, Mar. 24, Empire Theatre); Tales of Renaissance promises to transport concert-goers to medieval and Renaissance Europe courtesy of the Austin Troubadours, an early-music septet that performs songs and dances in period costumes (free, 8pm Fri, Mar. 29, San Fernando Cathedral, 115 Main Plaza); and the aptly titled Family Affair closes out the fest on a fusionist note with Janoska, a Vienna-based ensemble comprised of four brothers adept at bouncing between classical, jazz, Latin, gypsy, tango and pop stylings (free, 7pm Sun, Mar. 31, San Fernando Cathedral).